Most seasoned buyers and sellers are probably already familiar with the terminology involved in a real estate transaction… but some buyers, who are first time buyers or novices are not familiar with this terminology, so I’ve compiled a list for everyone! There are a great deal of phrases and terminologies unique to real estate. Listed below are just a sample of the common terms you will encounter in the process of buying or selling a home. Take a moment to familiarize yourself with them so you will know where to look if you need a definition. Amortization Period The actual number of years it will take to pay back your mortgage loan. Appraised Value An estimate of the value of the property. Conducted for the purpose of mortgage lending by a certified appraiser. This appraisal is not to be confused with a building inspection. Assumeability Allows the buyer to take over the seller’s mortgage on the property. Chattels Personal property which is tangible and moveable, such as electrical appliances, blinds, etc. Closed Mortgage A mortgage that locks you into a specific payment schedule. A penalty usually applies if you repay the loan in full before the end of a closed term. Condominium Fee A common payment among owners which is allocated to pay expenses. Conventional Mortgage A mortgage loan issued for up to 75% of the property’s appraised value or purchase price, whichever is less. Deed An instrument in writing, duly executed and delivered, that conveys title or interest in real property. Down Payment The buyer’s cash payment toward the property. The difference between the purchase price and the amount of the mortgage loan. Encumbrance Outstanding claim or lien recorded against property or any legal right to the use of the property by another person who is not the owner. Equity The difference between the home’s selling value and the debts against it. Fiduciary Duties The duties required by an agent (the brokerage firm and its representatives) acting for the principle in an agency relationship. They include loyalty, disclosure, confidentiality, diligence, accounting and obedience. High Ratio Mtge. A mortgage that exceeds 75% of the home appraised value. These mortgages must be insured for payment. Interest Rate The value charged by the lender for the use of the lender’s money. Expressed as a percentage. Irrevocable Incapable of being recalled or revoked. Unchangeable, unalterable. Deed Tax An instrument in writing duly executed and delivered for the transferring of property from seller to buyer. Maturity Date The end the term, at which time you can pay off the mortgage or renew it. Mortgagee The person or the financial institution that lends the money. Mortgage Insurance Applies to high-ratio mortgages. It protects the lender against loss if the borrower is unable to repay the mortgage. Mtge. 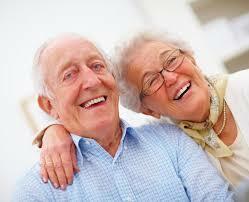 Life Insurance Pays off the mortgage if the borrower dies. Open Mortgage Allows partial or full payment of the principal at any time, without penalty. Portability A mortgage option that enables borrowers to take their current mortgage with them to another property, without penalty. Preapproved Mtge. Qualifies you for a mortgage before you start shopping. You know exactly how much you can spend and are free to make a “firm” offer when you find the right home. Prepayment Privileges Voluntary payments in addition to regular mortgage payments. Principal The amount borrowed or still owing on a mortgage loan. Interest is paid on the principal amount. Refinancing Paying off the existing mortgage and arranging a new one or re-negotiating the terms and conditions of an existing mortgage. Renewal Re-negotiation of a mortgage loan at the end of a term for a new term. 2nd Mortgage Additional financing. Usually has a shorter term and higher interest rate than the first mortgage. Survey The accurate mathematical measurement of land and buildings thereon, made with the aid of instruments. Term The length of time the interest rate is fixed. It also indicates when the principal balance becomes due and payable to the lender. Title Legal ownership in a property. Variable Mtge. A mortgage with fixed payments, but fluctuates with interest rates. The changing interest rate determines how much of the payment goes towards the principal. HAVE YOU WINTERIZED YOUR HOME YET? ITS NOT TOO LATE! If you haven’t already done so, it not too late to prepare your home for winter! Your home will require maintenance as temperatures begin to drop to keep it in shape throughout the winter months and prevent damage. Here are a few things to consider checking before winter sets in .. Ensure downspouts are directed away from the home to prevent leakage into the basement. Replace any cracked or broken glass. If required, prime and pain exposed wood. Ensure snow blower is functioning service, tuned and ready to go. 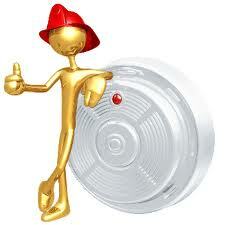 Test your smoke detector to ensure it is working properly. Consult with a gardener or arborist to determine when trees should be pruned. Store extra bottled water and perishable food supplied, blanket and a first aid kit. Don’t forget to include pet food! Something that is not very costly, but add great value is adding extra insulation to your attic. If you are not sure of the R-value, here’s something to look for. If you can see the ceiling joists, which are usually about 10″, then you know you don’t have enough. Make sure the air vents are not covered to allow proper ventilation to prevent mould. Have your furnace cleaned serviced yearly by a licensed HVAC contractor. Change the filters regularly, at least once a month. A dirty filter impedes air flow, and reduces efficiency, and in some rare cases could start a fire. If the furnace is in a separate enclosed area, ensure there is a vent on the door or wall for air circulation. Reversing your ceiling fan is something most people don’t think of. If you reverse the direction from summer operation, the fan will push warm air down and force it to circulate. How do you know its turning in the right direction? Look up at the fan, the blades should be turning clockwise. Shut of the water valves that are connected to exterior taps, via the shutoff valve inside your home. Drain any excess water from the taps and garden hoses to ensure the remaining water does not freeze during the winter and crack your pipes. Your STREETSVILLE Real Estaste Agent – Dedicated to providing outstanding service one would expect and deserve from a real estate professional. Experts say that moving is one of the most stressful times one can go through, and I tend to agree with that. Although we try to alleviate as much stress as possible, it is sometimes difficult to do. Being organized is essential to a great move, and a less stressful one. Here are some tips on how you can help get organized for the big day. Whether you’re selling your home or buying a new home, you need to budget for moving costs. Make sure you get three to five written estimates from moving companies, as well as complete information packages. 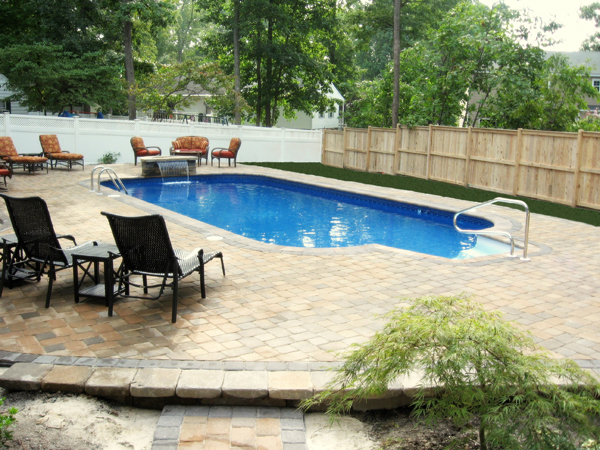 Consider the middle estimate-selecting a low-ball price is not necessarily the best decision. Since professional movers can be expensive, attempt to negotiate a lower price if you are moving at the slow time of the month or consolidating the shipment with other peoples’ goods. Find out how long the mover has been in business, obtain references, and check for complaints that have been registered with the Better Business Bureau. Check the amount of insurance coverage you have for loss or damage, and consider obtaining additional insurance. You may wish to rent a truck and move the goods yourself, if that option is feasible. You need to plan ahead as far as possible-ideally at least 10 weeks-so that you are not making your selection process under time pressure. Otherwise, you could end up paying a premium if few movers are available at the last-minute. Decide which items are to be moved. Select a mover to make arrangements for moving day. Start to use up items that are not easy to move, such as frozen foods. Contact the visitors’ or tourism bureaus in your new community for information. Record an inventory, and evaluate your possessions. Compile a list of everyone you need to notify about your move, such as friends, creditors, professionals, insurance, clubs or organizations, financial institutions, subscriptions and motor vehicle and other licences or registrations. Make arrangements, if required, to put items into storage. Contact schools, dentists, doctors, lawyers and accountants and obtain copies of personal records. Ask for referrals where possible. Notify the post office of your new address. Arrange special transportation for your plants and pets. Arrange to disconnect utilities at your old home. Arrange to connect utilities at your new home. Confirm loading and delivery dates with the mover. Arrange a new phone connection with your telephone company. 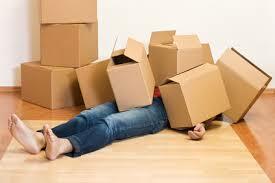 Purchase packing boxes from your local mover if you are packing some of the items yourself. Make your personal and family travel plans. Arrange to close accounts in your local bank and open accounts in your new location. List all your questions as they come up. Ask them as soon as possible. Collect clothing and items to clean and repair. Send out rugs and draperies for cleaning and have them delivered to your new address. Collect items you loaned to others, and return things you borrowed. Have a garage sale or give away unwanted items to eliminate articles you don’t want to move. Draw up a floor plan of your new home, and indicate the location of all furniture. Give a copy to the moving company. Arrange for babysitting, if necessary, for moving day. Arrange any necessary insurance for transit or storage, as well as insurance for your new home. Set aside items that can be packed in the car, in cartons labeled ‘Do not move’. Take down the curtains, rods, shelves, etc., if mover is not doing so. Empty the freezer and refrigerator. Set aside personal and other items you will be moving yourself. Be at the old home or have someone else there to answer questions. Make a final check of appliances to be sure they are working, and heating elements are off. Record all utility meter readings. Review and sign and save copies of bills of lading. Be sure the delivery address and the place you can be reached are accurate. Tell the driver exactly how to get to new address, and provide him with a map if necessary. Strip the beds, but leave fitted bottom sheets on the mattresses. Have your vacuum ready to clean hard-to-move items. Before leaving the house, check each room and closet for forgotten items. Make sure the windows are closed, doors are locked, lights are out and water shut off. If there is going to be a time period before the new owner comes in, consider shutting off the electricity. Call and inform your insurance agent that you are leaving. Notify the landlord, realtor and/or lawyer that the home is vacant. Arrange to make sure that you or a relative or friend is at the new home. Review the floor plans with moving company foreman. Examine all goods as they are unloaded, and check off the inventory numbers as a protection against loss. Arrange to have appliances installed, if applicable. Arrange to have the movers re-assemble any furnishings that were dismantled. Re-check all items to make sure there is no damage before signing the final moving documents. I am the proud recipient of the Quality Service Certified Platinum award for outstanding service to my clients – a rating of 100% rated by my clients. TORONTO, August 2, 2013 – Greater Toronto Area REALTORS® reported 8,544 residential sales through the Toronto MLS system in July 2013. Total sales were up by 16 per cent compared to July 2012. Over the same period, new listings added to TorontoMLS and active listings at the end of the month were up, but by a substantially smaller rate of increase compared to sales. Reflecting tighter market conditions, the average selling price for July sales was up on a year-over-year basis by eight per cent to $513,246. The low-rise market segment continued to be the driver of overall price growth. It should be noted, however, that the average condominium apartment price was also up by more than the rate of inflation on an annual basis. The MLS® Home Price Index (HPI) was also up on a year-over-year basis for all major home types. 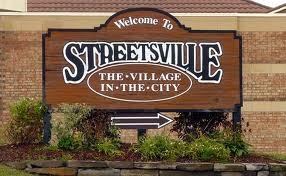 I live and work in STREETSVILLE. Are you considering buying or selling, or know someone who is? Call me for a complimentary evaluation of your home in today’s ever changing market. (416) 717-6331 I love referrals! Your STREETSVILLE Real Estate Agent, dedicated to providing outstanding client service to compliment my knowledge and expertise.